Mas d'Oléandre is a former farmhouse in the characteristic Mediterranean style, of which the main house together with the four holiday-accommodations (gîtes) constitute a tiny little idyllic village at the verge of the hamlet of St. Médiers, which in itself is hardly bigger. Deeply immersed in the fragrances and colors of the Provençal country. Charming apartment, suitable for 2 guests, entirely ground floor: living room, fully equipped kitchenette, bedroom with double bed (160x200) bathroom with walk-in shower, separate toilet and terrace. Low season (October to March, except holidays) - € 690,00 - per week. Mid season (April, Mai & October) - € 775,00 - per week. High season (June to September) - € 895,00 - per week. Bedclothes, towels and kitchen towels included. Suitable for 2 guests. Large charming apartment with beautiful visible roof beams. On ground floor: living room, fully equipped kitchenette and dining recess. Upstairs: bedroom with double bed (160x200), bathroom with walk-in shower and separate toilet. 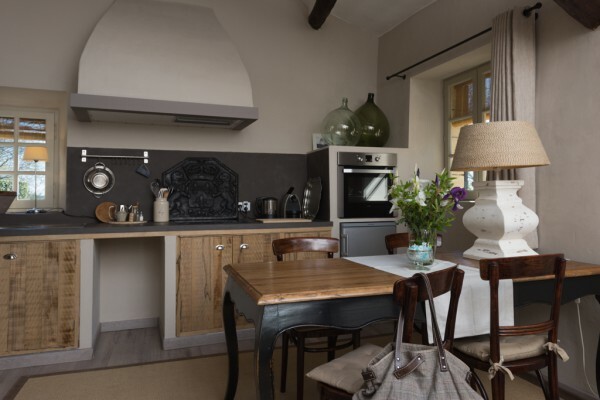 All our rooms and apartments have their own typically Provençal atmosphere and have their own terrace. Low season (October to March, except holidays) - € 740,00 - per week. Mid season (April, Mai & October) - € 805,00 - per week. High season (June to September) - € 905,00 - per week. The apartment is suitable for 2 people. It (the apartment) consists of a living/dining room which is equipped with a fireplace and a kitchen. Slightly higher you will find the bedroom with a double bed (160x200), bathroom with shower and toilet. This charming apartment has a terrace in front of the living room/kitchen. Low season (November to March - except holidays) - € 790 / week. Mid season (April, May and October) - € 875 / week. High season (June to September) - € 995 / week. Suitable for 2 guests. Ground floor: bedroom with double bed (160x200), bathroom with walk-in shower and separate toilet. First floor: living room, fully equipped kitchen. This charming apartment has two terraces: one on the ground floor before the bedroom and one on the first floor before the living room. Low season (October to March, except holidays) - € 845,00 - per week. Mid season (April, Mai & October) - € 935,00 - per week. High season (June to September) - € 1.065,00 - per week. • In low and mid season we rent out the apartments on a flexible base with a minimum stay of 3 days (arrival and departure day are also flexible). • In high season we only rent out on a weekly base from Saturday to Saturday. • 30% deposit upon reservation (non refundable). • Final cleaning of accommodations € 50,00. 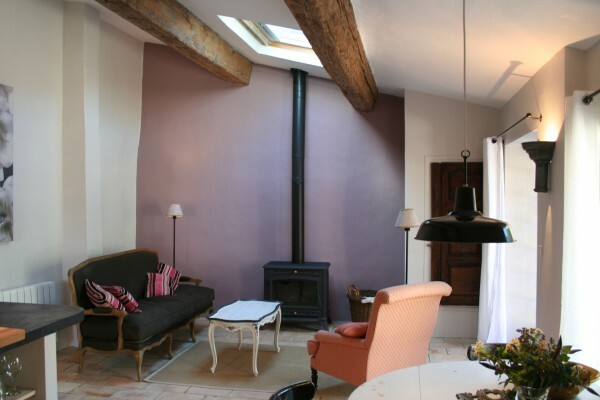 • Gîtes are available from 4PM and must be vacated not later than 10AM. "reception desk" - € 5,00 per week. for children under the age of 18. 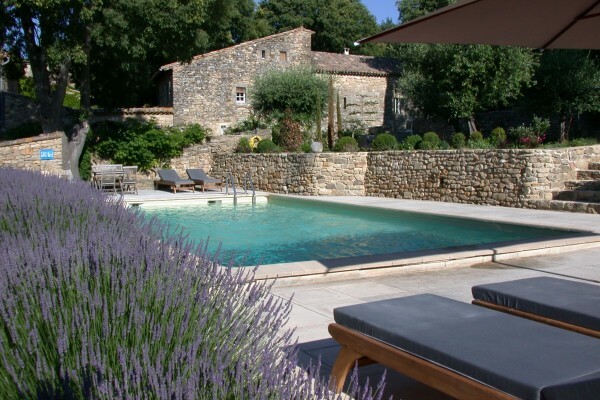 • Our maison d'hôtes is open throughout the year. • Extra towelset € 15,00. • Occupancy tax € 0,88 per guest - per day. Table d’hôtes - if you like you can join us at our table for the tables d’hôtes to enjoy our regional cooking. Don’t miss it !! You may make wonderful walks, or tours by mountainbike through the winefields and explore picturesque villages. not accessible for disabled people. Did you stay in mas d'Oléandre - maison d'hôtes? Let us know what you thought about it and help others to make the right choice! * I confirm having stayed in mas d'Oléandre - maison d'hôtes. 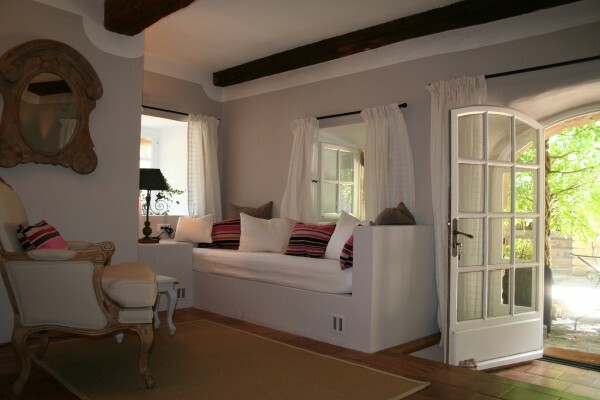 Find other holiday homes in Uzès or all holiday homes in Languedoc-Roussillon.